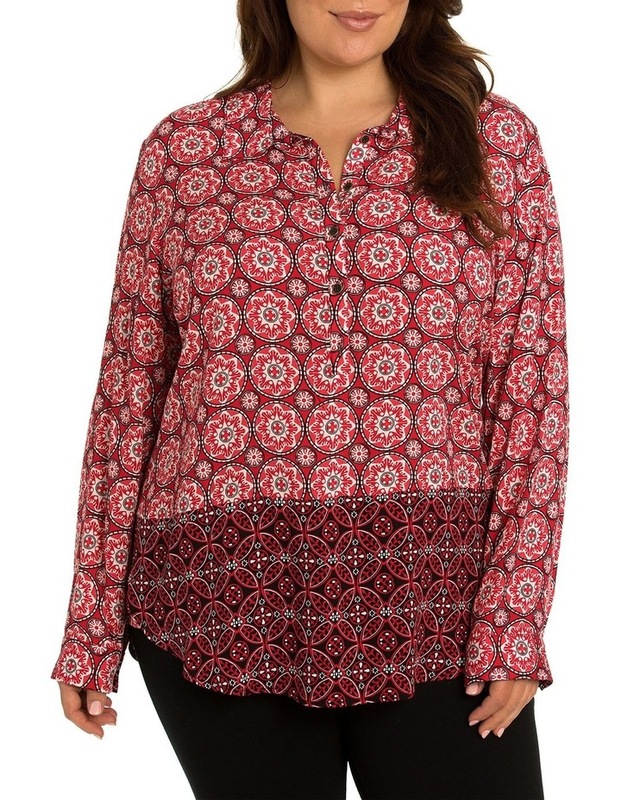 The flowing elegance of this top is paired with comfort and ease of wear. It's brightly coloured tile print makes it a bold piece to brighten up any outfit. 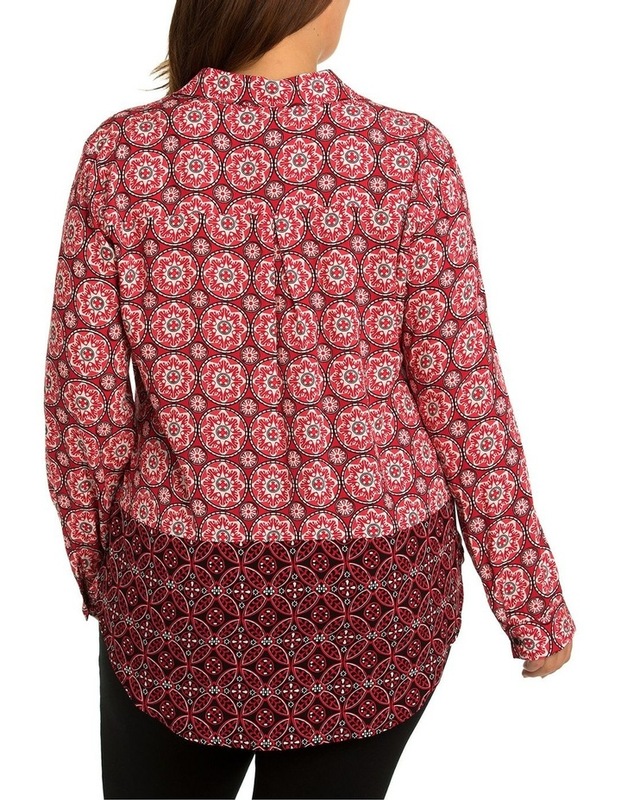 Made from 100% viscose, the long-sleeve top features front-buttoning, balloon sleeves and a collared neckline.